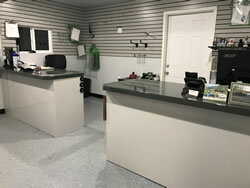 Truck Equipment, Truck Bodies, Truck Accessories and Parts - Kaffenbarger Truck Equipment Co.
Our service department is here to install your equipment and troubleshoot any of your issues. 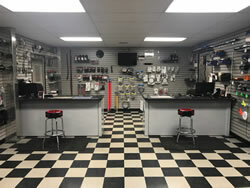 Our sales department can educate and help you choose the right equipment or accessory for your work truck, van or suv. 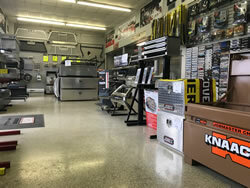 Our parts department can assist you with thousands of parts for your equipment. Welcome to Kaffenbarger Truck Equipment! We are a distributor and installer of truck equipment, truck bodies, truck accessories and truck equipment parts. From brands such as Knapheide, Galion, Crysteel, Hillsboro, TruckCraft, Adrian Steel, Boss Snowplow, Swenson, Buyers Products, Weather Guard, Maxon Liftgates, Tommy Gate, EZ Trac, Kelderman, Gortite, Liquid Spring, Roadmaster, Buell, and ECCO to name some of the top brands. We sell, service and install just about anything you can imagine on your vehicle. From fleets, municipalities and military to general contractors, auto-dealerships, businesses and individuals we have you covered! Dump bodies, service/crane/line bodies, flat beds, gooseneck bodies, commercial van interiors, snow plows and salt spreaders, liftgates, right-hand drive conversions, specialty equipment, frame/cab mofications, awd conversions, towing and cargo control, hydraulics, led lighting, strobes... the list goes on and on. Let us be your source for all things truck and van equipment! With locations in New Carlisle, Columbus, Cincinnati Ohio and Sunnyvale/Dallas Texas... we're here to help you!